from September fashion weeks, I didn't really have time to organise my autumn #ootds. 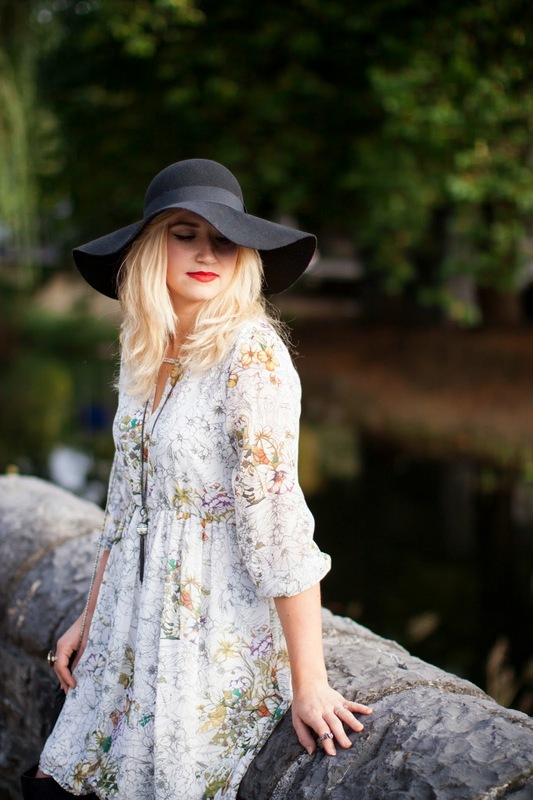 We have been very lucky with the weather here in Dublin the last couple of weeks, so I'm still able to wear some of my Summer dresses. I try to update them in to the new season by layering cardigans, ponchos or trench coats over them and I wear my boots and hats to keep warm on the cooler days. This look is a perfect example. It was another sunny day, so I opted for this stunning swing dress. I have it for a while and it's one of my favorite dresses. I absolutely love the fairytale floral print and light flowy fabric. I am obsessed with thigh high boots for a very long while, so when I spotted this suede pair in Penney's (Primark) I was ecstatic! The thing about over the knee boots is that if you wear them right, Iit looks mind blowing. But if you wear them wrong, you'll end up looking tacky and cheap. 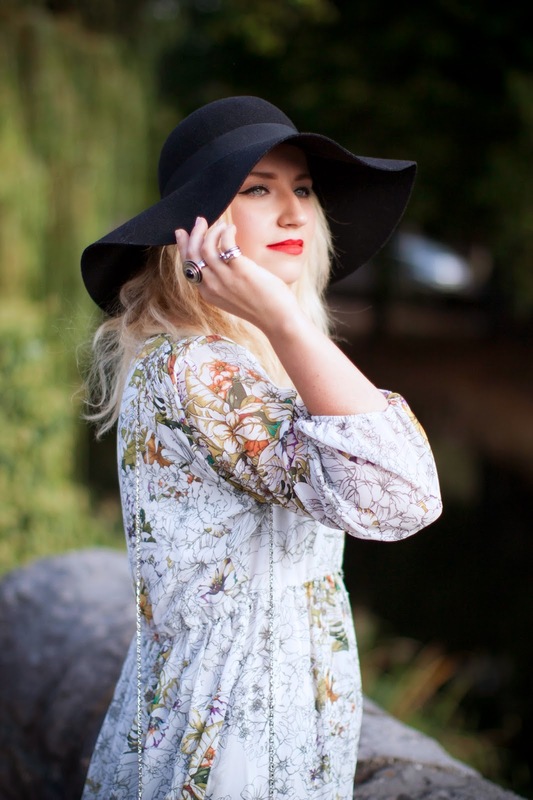 I decided to pair mine with this dress and floppy hat to create more casual-day look that oozes with bohemian feel. To keep up the Boho chic, I accessorised with midi rings and so on trend tasled necklace and bag. This outfit definitely turned some heads, but I hope for all the right reasons. How would you wear over the knee boots?